According to Japanese blogger Sinobi, the PS Vita in Japan has shifted almost 800,000 units since its release last December. Sales of the PlayStation Vita have doubled yet again in the week from June 25th – July 1st, following the release of the White PS Vita and the Metal Gear Solid HD Collection. Sales increased by approximately 87% from 12,100 units to 22,638. The week ending June 16th 2012 has been incredible for PS Vita sales. 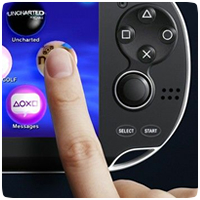 Compared to the previous week, the PS Vita has sold 56% more units around the world. SCE President Andrew House told Reuters in an interview that Sony is aiming to sell ten million PlayStation Vita systems before the end of the current fiscal year. Sony is hoping to achieve the sales target by releasing major software titles during the holiday season. The launch of the PlayStation Vita in North American and Europe last week has helped push sales parts the 1.2 million mark. 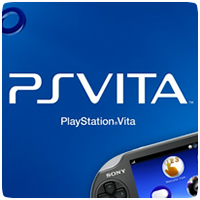 Sony Computer Entertainment Inc, today announced that the sales of the PS Vita reached over 1.2 million units worldwide as of February 26, 2012. Software sales across the globe have surpassed 2.0 million units at both retail and on PlayStation Network. This week’s Japanese hardware sales charts show that the brand new PS Vita has sold only 42,648 units in the last week. That’s actually less units than the PSP sold (62,746 units to be exact) and considerably less than the 3DS (which moved nearly 200,000 machines). PlayStation Vita has only sold 72,479 units in its second week since launch, which is a rather disappointing figure after more than 320,000 units were sold in the first 48 hours since launch. In comparison, the PSP sold 101,121 units, while the 3DS shifted a staggering 482,200 units in the same seven days. Sony has managed to sell a total of 321,407 PlayStation Vitas on December 17 (the day it was launched in Japan) and 18, according to Japanese video game magazine Famitsu [JP]. This pretty solid number means that big S has sold about 46% of its initial shipment of Vitas (which is rumored to be around 700,000 units) in 48 hours.